On the 17th (Sun), snap pictures at Lumberjack's Candle Bridge, take an exotic tour of a safari tour, then see Santa Claus Office, and finally get in on the family fun at Santa Claus Village. To find photos, more things to do, and tourist information, you can read our Rovaniemi day trip website . Tel Aviv, Israel to Rovaniemi is an approximately 11.5-hour flight. You can also do a combination of flight and train; or do a combination of flight and bus. In March, Rovaniemi is cooler than Tel Aviv - with highs of -1°C and lows of -9°C. Finish your sightseeing early on the 17th (Sun) to allow enough time to drive to Saariselka. Start off your visit on the 18th (Mon): fly down the slopes at Saariselka Ski & Sport Resort. To see more things to do, traveler tips, maps, and more tourist information, read our Saariselka day trip planner. Traveling by car from Rovaniemi to Saariselka takes 3.5 hours. Alternatively, you can take a bus. In March, daily temperatures in Saariselka can reach -1°C, while at night they dip to -12°C. Wrap up your sightseeing on the 18th (Mon) early enough to travel to Levi. Start off your visit on the 19th (Tue): get your game on at Kid's Land, look for all kinds of wild species at Wildlife Areas, and then stop by Elan Ski Shop & Rental. 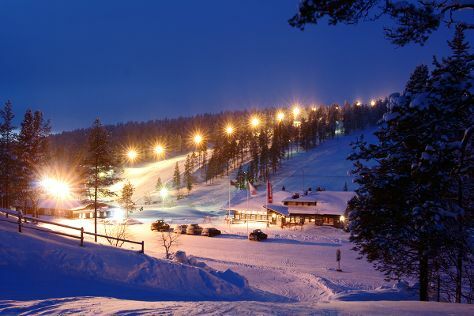 On the 20th (Wed), you'll have a packed day of sightseeing: ski along the peaceful trails at Levi Ski Resort. To see where to stay and more tourist information, read Levi trip planner. Traveling by combination of bus and flight from Saariselka to Levi takes 3 hours. Alternatively, you can drive; or take a bus. 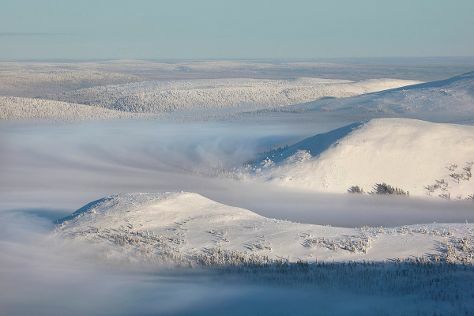 In March, daily temperatures in Levi can reach 0°C, while at night they dip to -10°C. Finish your sightseeing early on the 20th (Wed) to allow enough time to drive to Akaslompolo. On the 21st (Thu), ski along the peaceful trails at Pallas-Yllastunturi National Park. On the 22nd (Fri), you'll have a packed day of sightseeing: get outside with Seven Fells Up and then surround yourself with nature on a nature and wildlife tour. To see where to stay, more things to do, reviews, and tourist information, read our Akaslompolo day trip tool . You can drive from Levi to Akaslompolo in 1.5 hours. Another option is to take a bus. In March, daily temperatures in Akaslompolo can reach 0°C, while at night they dip to -10°C. Finish up your sightseeing early on the 22nd (Fri) so you can travel back home.